To be fortunate enough to borrow one new Volvo for a week may be like winning the lucky dip draw at the village fete. To have two of them outside your house with tanks full of fuel and an open invitation to drive them anywhere you want must be counted closer to a jackpot on the Premium Bonds. That’s how it was, however, at our house when the new V90 Cross Country arrived at the same time as the new XC60. This extended experience only confirmed and deepened the impressions we had previously gained on the brief acquaintance of launch events. They are that Volvo is now turning out some of the finest, most desirable cars money can buy. And, if their long-term reliability proves as sound as their build quality appears to be, the list of cars that you might buy if you had any sense and if your nag actually did win the Derby could begin and end with one word: Volvo. Having these two together, gracing our drive side by side, shows how assiduously Volvo are sticking to the manufacturing formula they composed for the new 90 series. The Scaleable Product Architecture (SPA) platform on which the 90 was built now finds its way for the first time into the new mid-range 60 series. A host of details also trickle down from the more expensive 90 series. 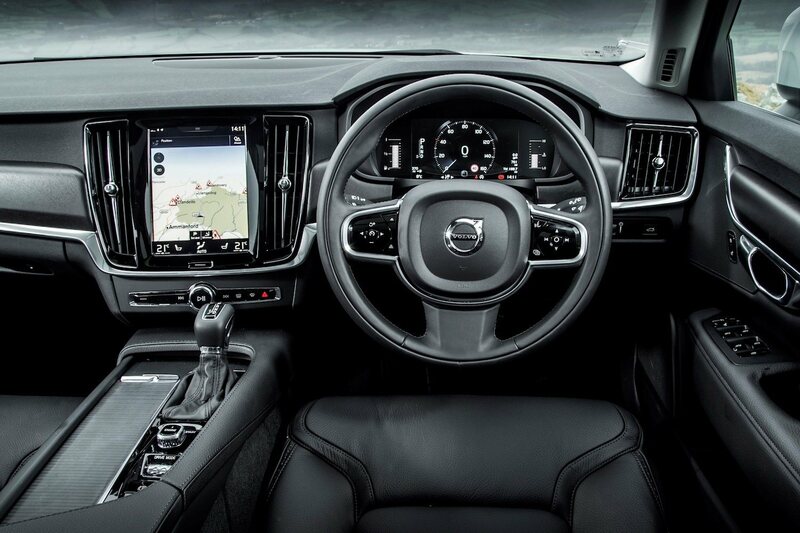 Having familiarised yourself with the cabin of the V90, you could practically operate the XC60 with your eyes closed. Every button, switch and accessory comes to hand in exactly the same place and operates in the same way. The nine-inch centre console touch screen like an iPad is precisely the same in both cars, as is the sublime Bowers and Wilkins Sensus Connect sound system. No complaints. Unlike some brands where accessories from the parts bin seem to have been lifted out of the cheapest model, then to be inserted, willy-nilly, into more expensive offerings, the Volvo equipment list has started its life in the 90 series and is running down the range. This means that the customer for the XC60 is getting XC90 quality for less outlay. The same is true of the engines. 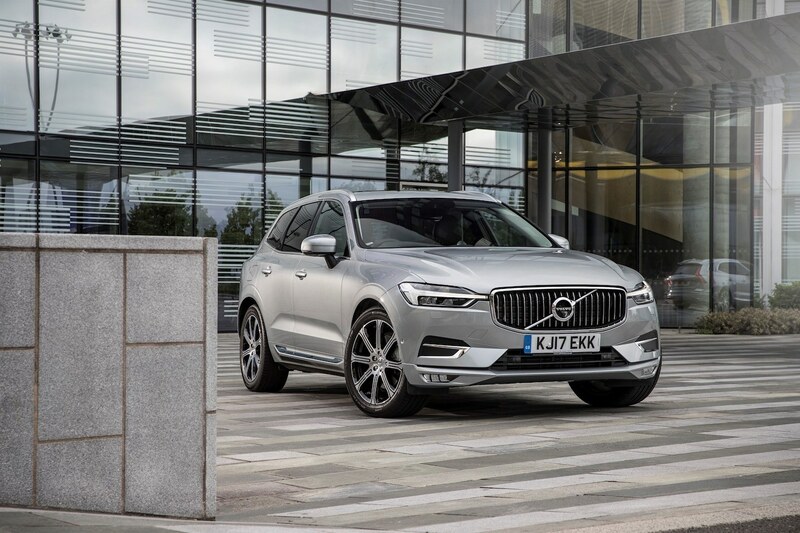 The 190bhp D4 diesel in the V90 Cross Country is the same as the engine in the XC60 we borrowed and delivers nears identical performance and fuel economy in both cars, even though the V90 is by far the bigger. As a matter of fact, the D4 makes a more natural fit with the trimmer, more compact XC60 than in any of the 90 series, where it feels a tad short of the effortless, wafty power you might expect in cars intended to rival Jaguars, Discoveries and BMW 5 Series. Where the XC90’s majestic bulk seems purpose-made for the expanses of Texas or Oklahoma, the trimmer XC60 felt less obtrusive and more manageable (even without Volvo’s Oncoming Lane Mitigation system) on the narrow country roads round our home in Scotland. Our V90 Cross Country came in deep, dark grey body paint with black trims over the wheel arches and sills which made it look suitably retiring in Calvinist Fife. Even so, the truth remains that this is a mighty big car, with a load space under the rear hatch which compares with the maw of a Skoda Kodiaq. The XC60 skittles around and parks with the nimbleness of a Yeti. The £50730 asking price of the XC60 we borrowed is a throat-clutching amount of money for a mid-range SUV but it looks cheap compared with the £70000+ that a similarly-equipped XC90 might cost. It also makes the all-in price of our V90 Cross Country seem moderately affordable at £53180. “Might as well take them both,” as I told my wife. “Have we won the lottery?” she answered.